Product is backordered. Order now, and we will ship as soon as available. 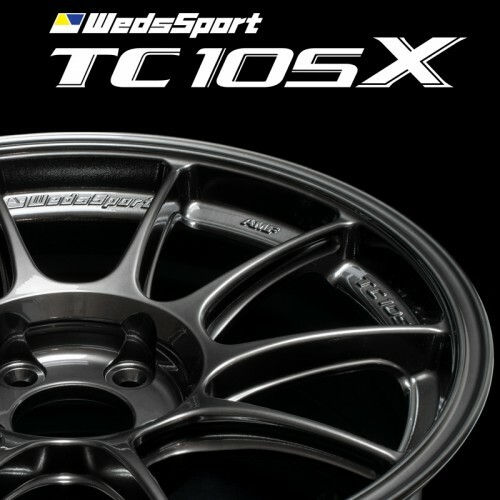 Developed and tested under rigorous racing environments, the TC105X is the newest racing wheel developed by WedsSports to be the new successor to the TC105N. - Cuts behind the spoke further reduces weight without sacrificing strength. - Machined side spoke cuts further reduces overall wheel weight without sacrificing overall wheel strength. 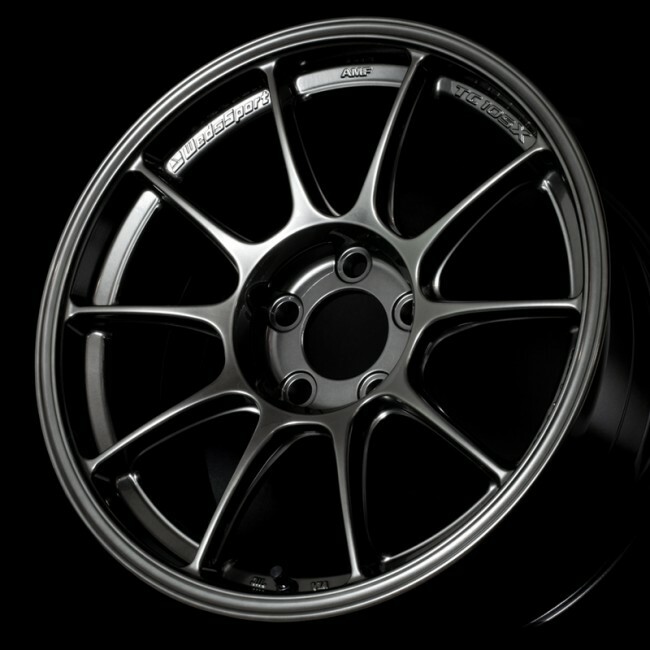 - Utilization of the Vapor Disposition Aluminum (VDA) technology improves overall finish providing an iridescent appearance. This provides an overall paint thickness of 15nm instead of the previous 50nm, yet provides a tougher overall finish and even reduced heat retention. 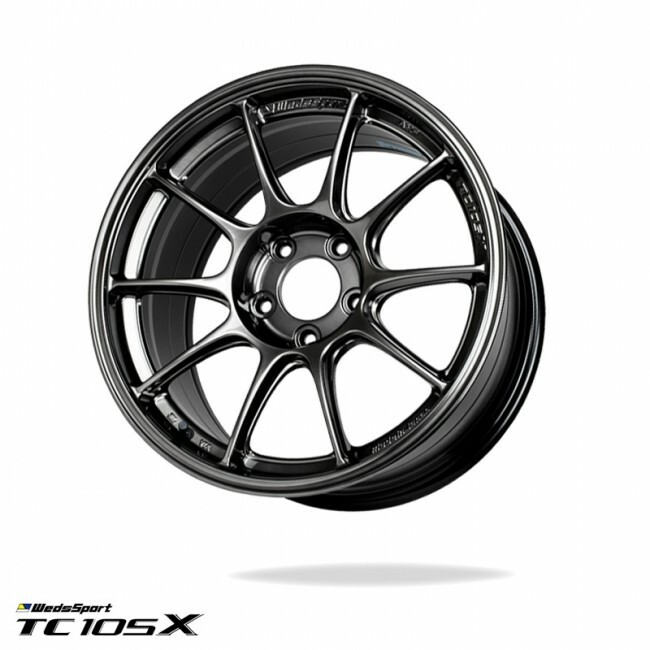 As a result, the durability of the finish is improved and adds to the weight reduction of the wheel. - Aluminum casted AMF spinning process allows for increased structural strength and rigidity over standard casted aluminum. - Designed conical barrel shape improves overall brake clearance for larger brake systems. 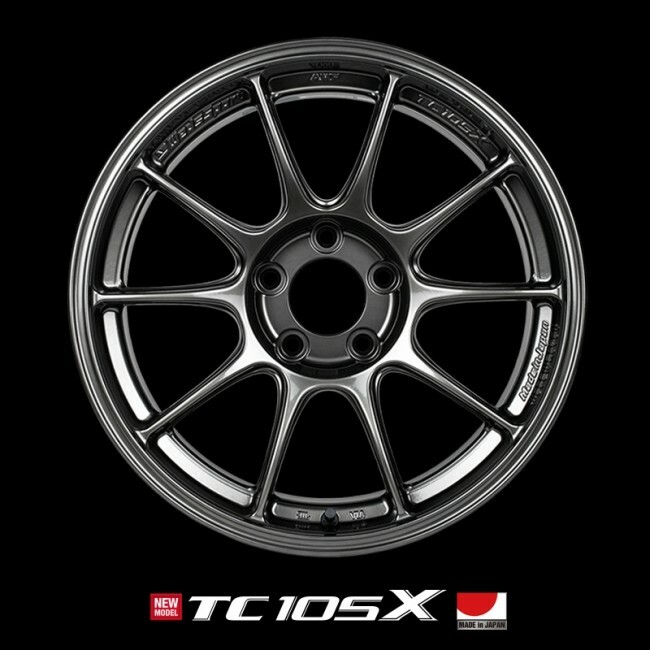 Wheel size and offset can be selected in the down-select menus. Price is per each wheel.